With all the advanced technologies available these days, their integration to different industries is inevitable. As for the academe that once resisted to adopt modern trends, its on-going merging with technological innovations is encompassing the traditional setting of learning, specifically inside the classroom. According the Educause’s 2013 study, 76% of undergraduates said that technology helps them achieve academic outcomes and prepare of future educational plans, while 61% of them said that it helps them prepare for employment. The research also pointed out that technology has become an integral part of learning, especially in computer-based aspects. First comes the whiteboards, then the projectors, and now — with the rise of interactive whiteboards (IWB) — chalkboards will be a thing of the past a few years from now. When e-books are first introduced, a lot of people has seen its potential and more people are trying e-books. 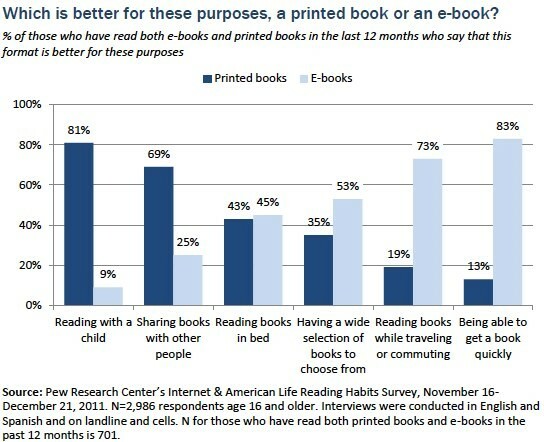 A study conducted last 2011 shows that respondents ages 16 and up prefer e-books than printed books for various purposes. Ironically, in spite of the positive responses for e-books, a more recent study shows that 92% of college students prefer reading textbooks. Through these two contrasting studies, we can assume that the debate between e-books and printed books is not yet over, which somehow affects the student’s preferences for reading materials. Nowadays, class interaction is not only limited to the four walls of the classroom. With learning management systems (LMS), teachers and students can discuss a homework, post assignments and collaborate projects even though they are in different places. On a report released by MarketsandMarkets, the LMS market size is expected to grow from USD 5.22 billion this year to 15.72 billion by 2021, at a compound annual growth rate of 24.7%. The advancement of technology also changed how students conduct researches. On a 2012 survey by Pew Internet Org, 77% of the teachers say that the impact of online research is mostly positive but they still have their reservations on that matter. Most students today view research as Googling. The survey also inquired on which research tools do students are most likely to use and Google tops the results at 94%, followed by Wikipedia and other online encyclopedias at 75%. In a traditional classroom set-up, teachers are the knowledge providers while the students just absorb everything. With technology, the students can now easily turn to the internet for information. A study from the Academy of Finland concludes that the teachers’ role has changed to becoming a facilitator — guiding the students’ learning process and engagement in problem-solving. As technology changes everybody’s lives, it is not surprising that academic institutions will be changed as well. 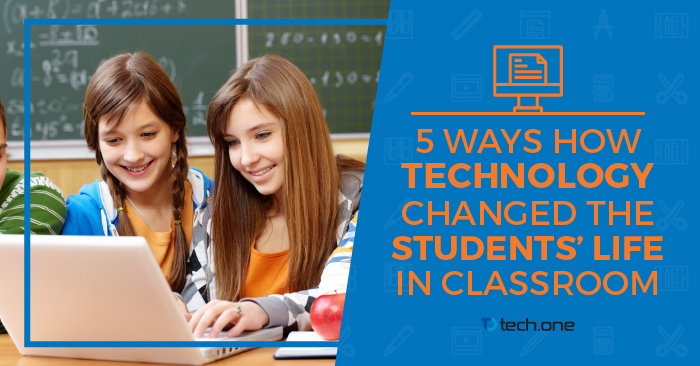 These are the few ways technology has changed a student’s life in the classroom. How else do you think technology changed a student’s life in classroom?